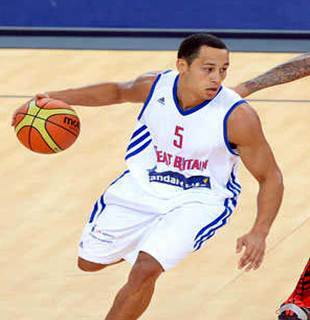 Great Britain trimmed their squad to 14 players, cutting two more players a week before they plunge into action in the EuroBasket 2013 that will kick off on September 4 in Slovenia. GB Men’s head coach Joe Prunty decided to cut veteran forward Dzaflo Larkai and forward Orlan Jackman before they plunged into their two-game series with defending champions Spain. “The guys have done an outstanding job for us from day one in camp. I appreciate the efforts made both on and off the court. All of us from the GB team thank them for everything they contributed and wish them the best in their upcoming seasons,” Prunty said. Larkai, who was looking to make his first major international tournament with the GB men’s squad, was disappointed for failing to make the final squad, but expressed confidence that the team will do well in Slovenia. “I am disappointed to be released but I leave a great group of guys and an excellent coaching staff. I have learnt a lot which I will take back to my pro club this season,” said Larkain, who will return to Japan to play for the Sendai 89ers. The Brits pushed the Spaniards to the limits before failing to complete an upset as the powerhouse squad escaped with a hard-earned 80-67 win on Wednesday in Murcia. Spain followed it up with a dominating 100-46 win on Thursday night in Zaragoza. The two games will play a huge factor in the staff’s decision on who will make the final roster.